1 creepy crawly, 2 creepy crawlys, 3… she counts as she slides the small plastic bugs up and down my arm. Mommy, look at your arm… with a giggle and snicker she is in heaven. “Oh my… what’s on my arm?” “Crawlies…hehehe” she snickers. I’ve never met a little girl that loves crawlies as much as this one. Who am I to complain though? So it seemed only fitting when we found this set of crawlies to mix it with another obsession of hers… slime. 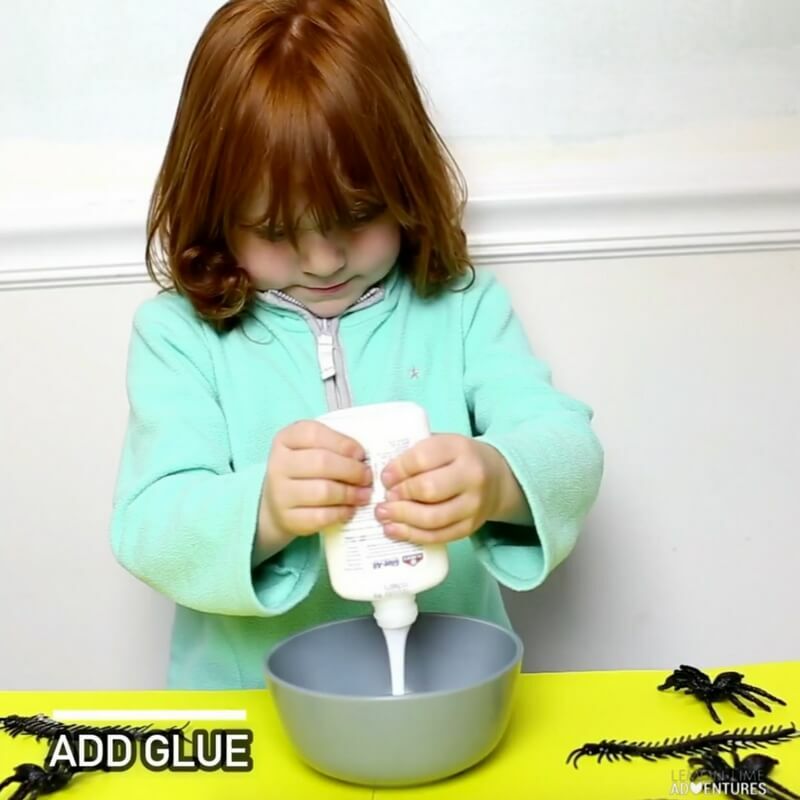 At this point my four year old daughter has gotten so good at making slime, she can do it on her own and this simple 3 ingredient creepy crawly slime is no different. It’s so easy, literally anyone could make it! * This post may contain affiliate links for your convenience. Click here for my full disclosure. We make slime all the time in this house, mostly because it is an awesome activity for my sensory seeker. 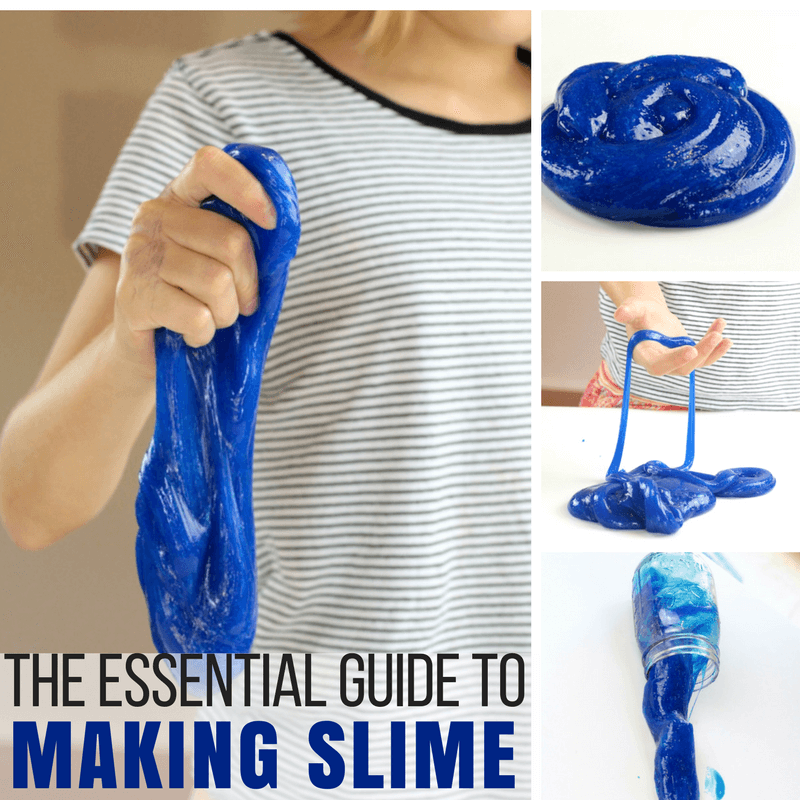 Slime is goopy and gloppy and just so much fun! 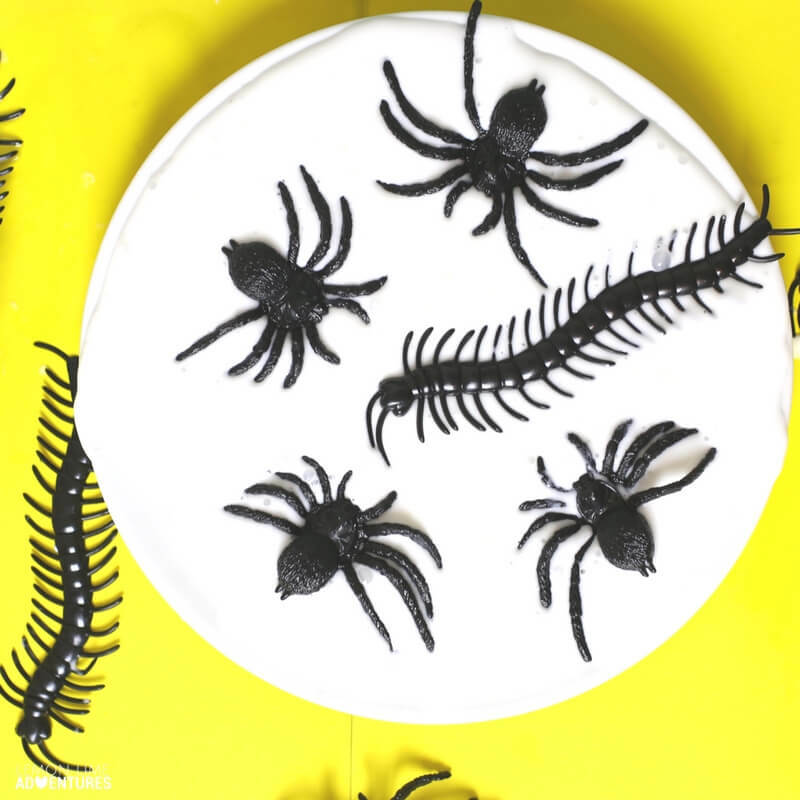 We have even more fun when we add fun surprises to the slime recipe like these creepy crawlies! 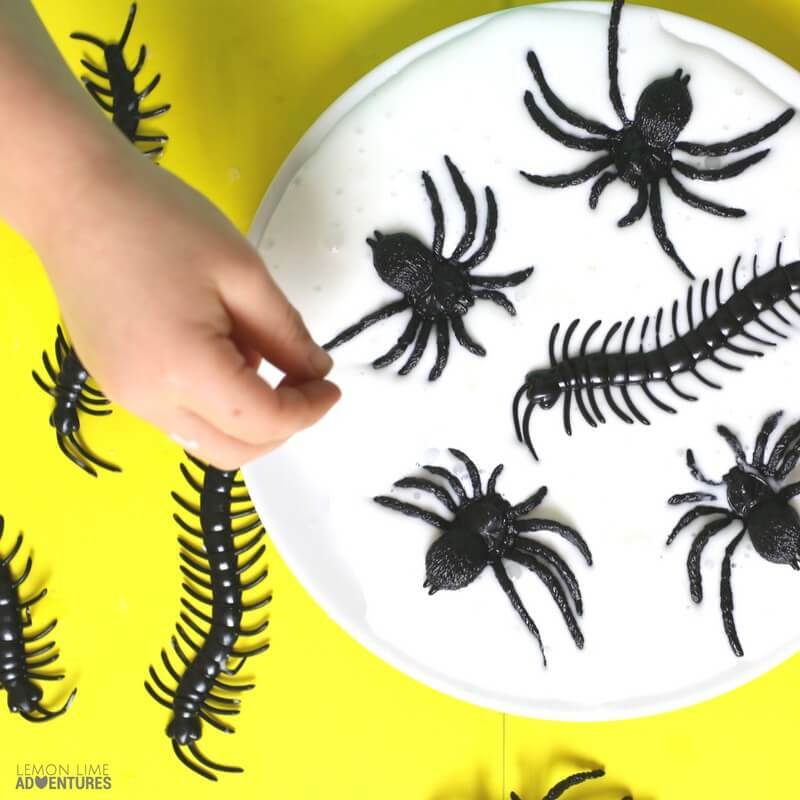 Of course, have some creepy crawly toys on hand to add to your simple slime recipe! Okay, are you ready for a super easy slime recipe that will take like two seconds to make? Pour your glue into a bowl. We like to use a whole container like the one in the picture above. Next you’re going to add some water and mix! Add some liquid starch to your mixture. 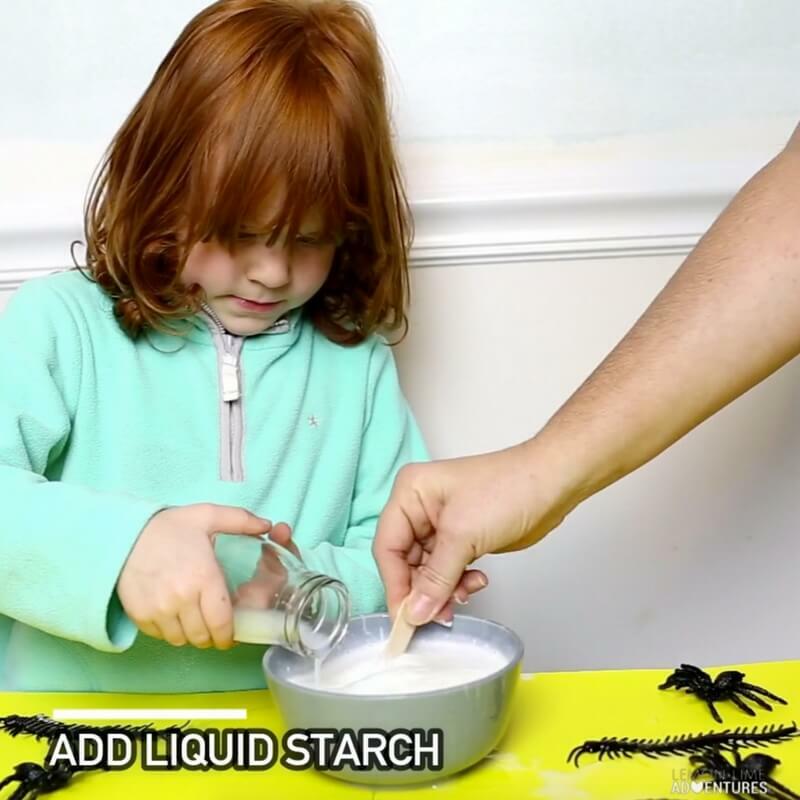 (I’m telling you, liquid starch slime recipes always turn out the best!) and mix well. Next you’re going to need to roll up your sleeves because you’ve got to mix and knead the slime with your hands. 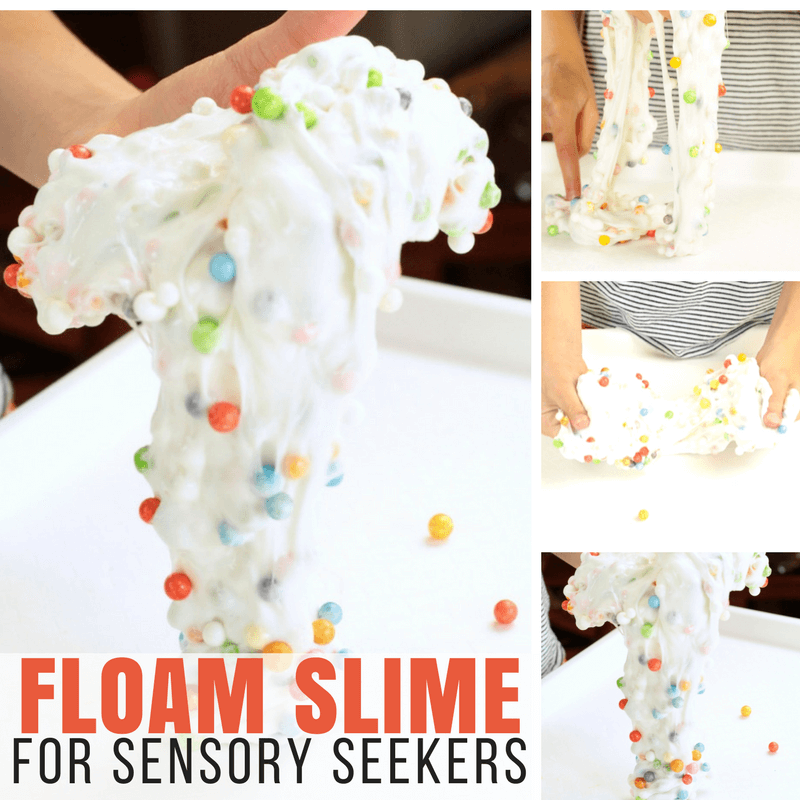 This is a sensory activity, so don’t be afraid to get your hands slimey!! Finally you’re going to add your creepy crawlies! 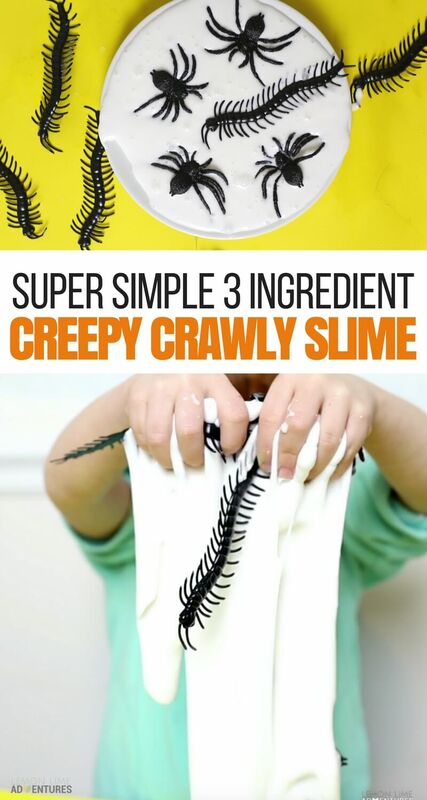 Because what fun is creepy crawly slime if there are no creepy crawlies?! 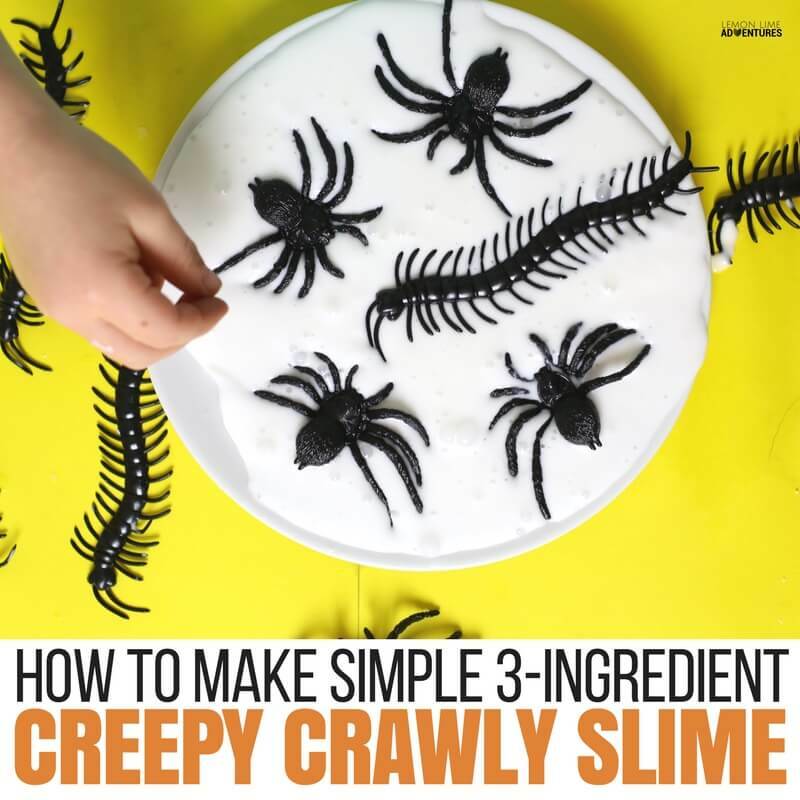 Once you’ve got the perfect creepy crawly slime recipe, you can count and play with your crawlies and your slime! Stretch and squeeze your slime, bury the crawlies and re-find them, and play to your heart’s content. Isn’t that such a simple slime recipe? We had so much fun making this together, and even more fun playing with it! Check this creepy crawly slime out in action in the video below! Have you ever told your kid to “go play” only to have them do nothing? If only it were that easy, right? Whether it’s picking an activity to do or knowing how to get along with their friends when their friends want to play something they don’t, “go play” can be hard for any superhero. Some of the best superkids around struggle with making friends, keeping friends and choosing activities (outside of saving the world). The activities and crafts in my new book, The Superkids Activity Guide to Conquer Every Day, will help your superkid get their energy out, bust boredom and be the coolest kid on the block. From peaceful friendship hacks to ooey-gooey sensory experiences, these activities will boost their team player status, channel their inner energy and skyrocket their listening skills while having a blast each and every day.